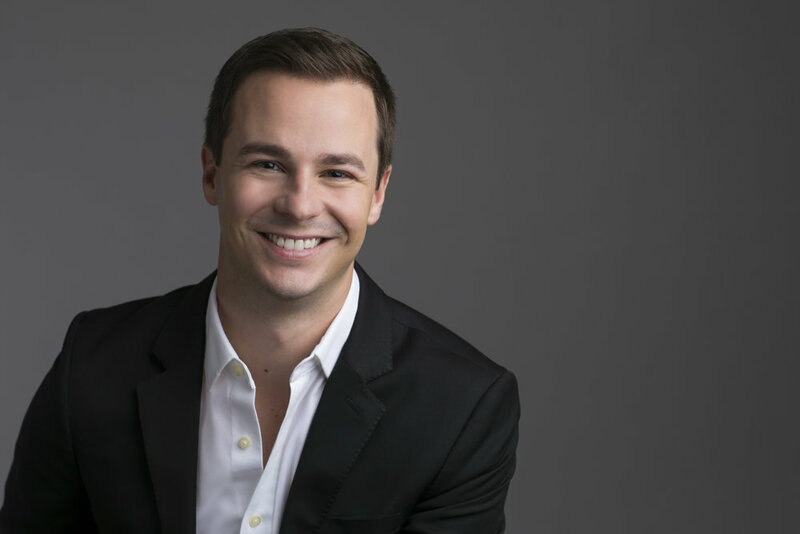 Praised for his “real musicality and finely executed coloratura,” Patrick Muehleise is an acclaimed American tenor known for his “beautiful, evenly produced lyric tenor” and “pure tone” specializing in a wide variety of concert soloist repertoire. Recent engagements include Monteverdi’s Vespers of 1610 under the baton of Jane Glover, Mendelssohn’s Elijah with both Elmhurst Symphony and Fort Wayne Philharmonic, Bach’s Magnificat with True Concord, Reich’s The Desert Music with New World Symphony, the role of Pan in the fully-staged period performance of Cavalli’s La Calisto with Haymarket Opera Company of Chicago; and continues this season performing Mozart’s Requiem with the Aspen Music Festival Orchestra under the baton of Xian Zhang, the Evangelist role in Pärt’s Passio and Bach’s St Matthew Passion with Seraphic Fire, Carmina Burana with both Long Beach Camerata and Chicago’s Tower Chorale, and Bach’s B Minor Mass with Bach Akademie Charlotte. Patrick is a regular member of Grammy-nominated and award winning ensembles such as Seraphic Fire, True Concord, Chicago Symphony Chorus, as well as Santa Fe Desert Chorale, Grant Park Symphony Chorus, and has taken the stage with Lyric Opera of Chicago, Santa Fe Opera, and The Cleveland Orchestra. In addition to his performing, Patrick has been named Artist in Residence at UCLA for the next two academic years and will be joining the faculty at the world renowned Aspen Music Festival in partnership with the Grammy-nominated Seraphic Fire Professional Choral Institute. In 2016, Mr. Muehleise was nominated for a Grammy Award in the Best Choral Performance category for his collaboration on True Concord’s album “Far In The Heavens: Choral Music of Stephen Paulus” and Patrick can be heard on six nationally released recordings with Grammy-nominated ensembles.